My favourite structure, first and foremost, is the great Shwedagon Pagoda. I think it gives us spiritual strength and a unique sense of security and being in Yangon. 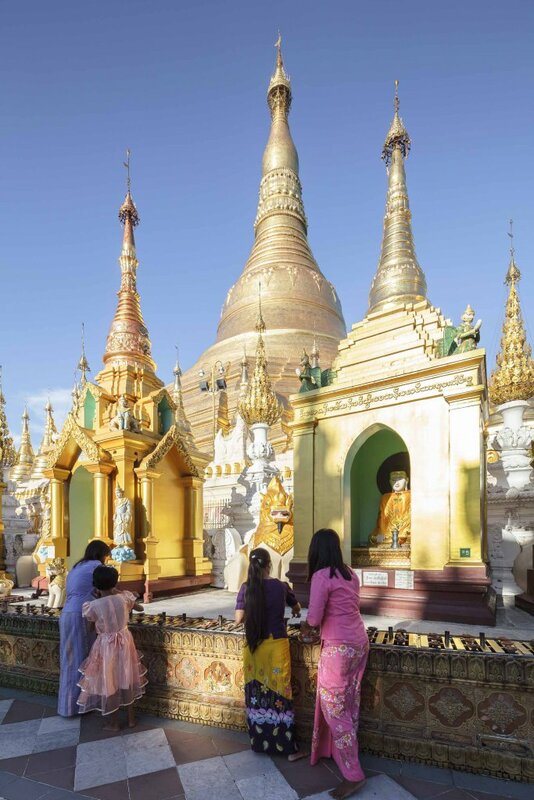 It is common for Myanmar people to tell you that their ultimate goal is “to visit the Shwedagon at least once before they die”. The stupa itself is a remarkable architectural achievement that was built in various stages through different reigns in history. There are also various fine architectural specimens on the main and lower platforms, including pavilions, smaller stupas, monasteries and image houses. Similarly, these were built across the centuries. 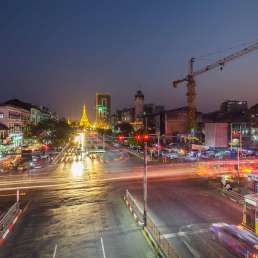 The Shwedagon, as one of the larger public spaces in Yangon, has also long been associated with political and social upheavals in Myanmar’s history, including the struggle for independence and more recent movements. The plaques recording donations over time would make for fascinating historical or anthropological research. This historic site has been the centre of the former capital since the mid-19th century. As a result of colonial-era urban planning and design, it is at the heart of the city and has been the most popular site for public gatherings ever since. It is surrounded by a rich architectural landscape of domes, towers, minarets, spirals, and lush green trees with seasonal coloured blossoms. This is quintessentially Yangon. 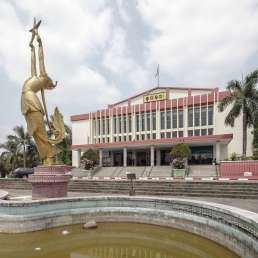 An early 20th-century teak structure has served as the local high school in a south eastern corner of the city since the day it was built. The Methodist Burma Mission established it, after purchasing the plot in 1906 to build a boys’ school. The mission completed a church, two high schools and a missionary house in the same block of Upper Bo Myat Tun Street (formerly known as Creek Street). 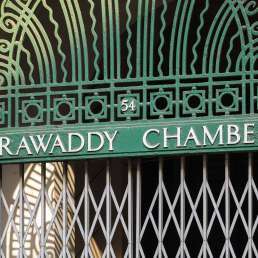 Although it was originally a missionary boys’ school, it also served as a gathering space and shelter for the local community, and became a springboard for social and political organisations. It currently serves over 2,000 high school students. It also features an indoor court for sports activities such as badminton or the more traditional chin-lone, Myanmar’s traditional sport, where players keep a small woven rattan ball in the air by passing it to one another with agile, dance-like footwork. An abiding image of the market I’ve always had since my childhood is of an old man with a big hard hat dozing off on the street. 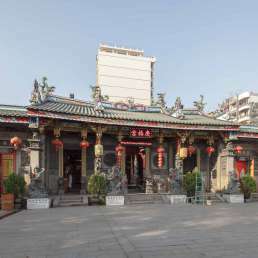 The market is a single-storey building with a main aisle, flanked by three wings at each side. There are double-storeyed shops lining the perimeter. The market has always been a gathering place, for traders; tourists and the trendy; for youngsters and creatives to hang out; for ladies of all walks of life to show off their fashion sensibilities; where new styles and ideas are introduced. 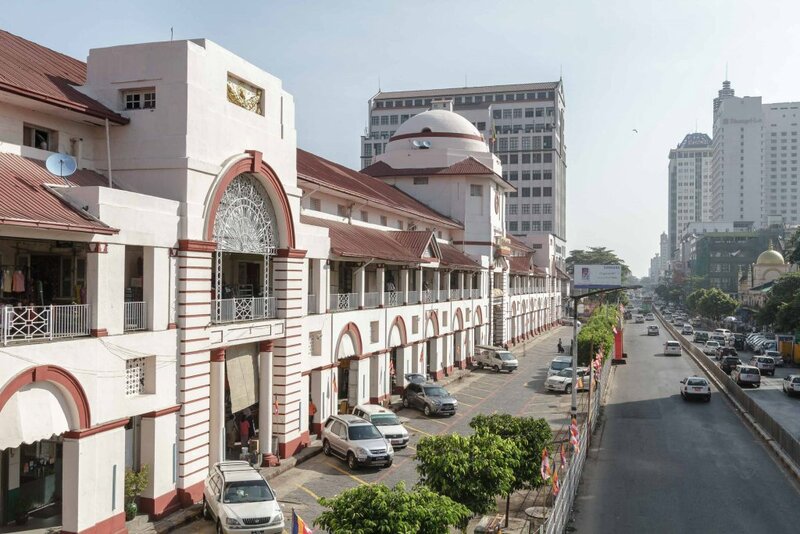 This fine Edwardian building is a prominent piece of architecture on Sule Pagoda Road. 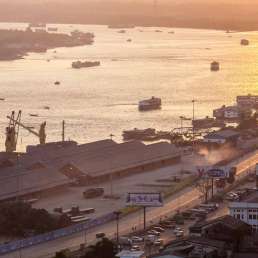 It has always complemented the sight of the Sule Pagoda. 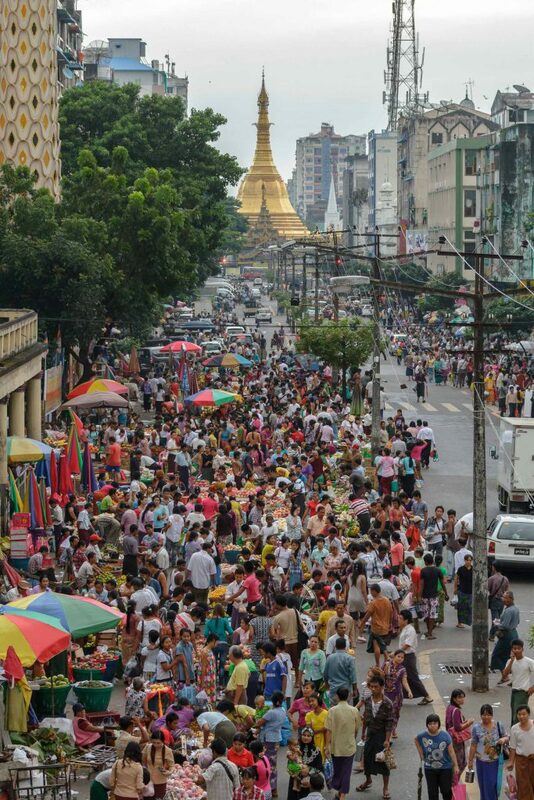 The road leading towards the stupa, together with the fire station on its right, has been a showcase of Yangon’s unique street scenes for decades. 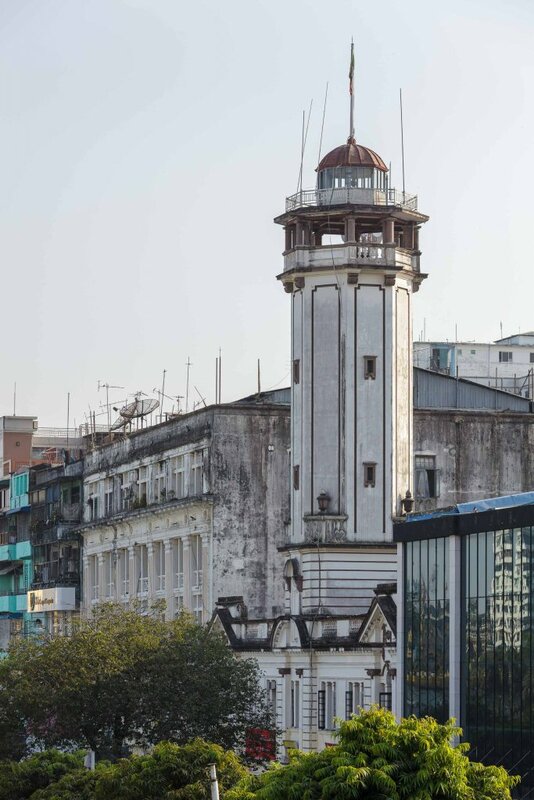 It was built in 1913, when Rangoon’s municipal government saw the need for the emergency service in a fire-prone city. The Department of Fire Fighting deserves credit for maintaining the building in good condition despite its old age.